Getting people interested in your company is the first step to establishing a lucrative sales funnel. But how do you get people interested? You give them something useful. Using promotional offers, like checklists, allow your company to create a beneficial relationship with potential customers, even if they’re not ready to buy at the very moment. Consumers don’t have time to read novels. Checklists are short and straight to the point, making them a practical solution to today’s busy world. Compared to other, traditional marketing offers; checklists have an open rate increase of 100%. 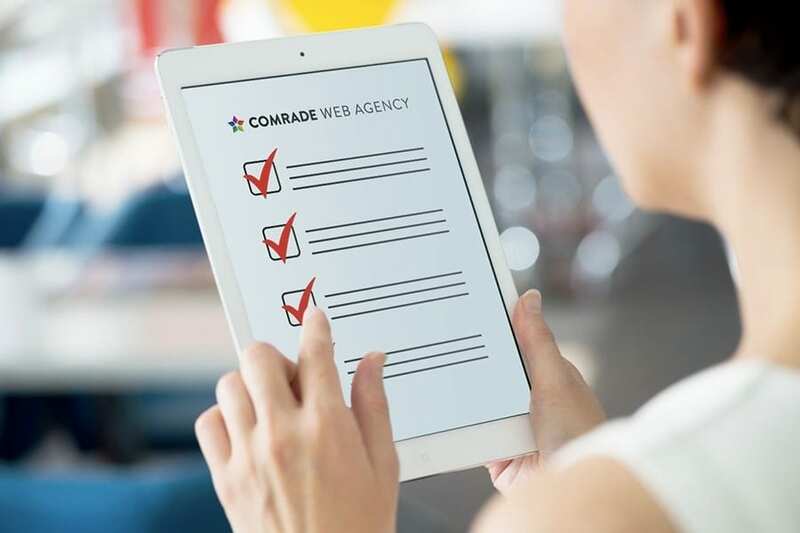 If your checklist is written professionally and truly provides the information that people need vs. the well known facts, people are more likely t come back to the website or Facebook page for more. Through quality checklists, your company becomes a subject matter expert, which is great for reputation management and people will find it easier to trust your service. Checklists give you the ability to put your company’s information in the face of the consumer right when they need it, even if they aren’t online. Comrade Case Study: We created a Car Accident checklist for a personal injury attorney client. This checklist outlined the steps one should follow immediately following a car accident, which we offered as a PDF that could be downloaded, printed and tucked away in your vehicle until you need it. This ensured that our clients name and number was the first thing someone saw after being involved in a car accident. Checklists provide easy to digest material in an aesthetically pleasing way. It’s a chance to incorporate more design into your blog and resources page. If you are looking to bring your company to the next level through inbound marketing, call (312) 265-0580 to speak with a member of our experienced Inbound Marketing team.